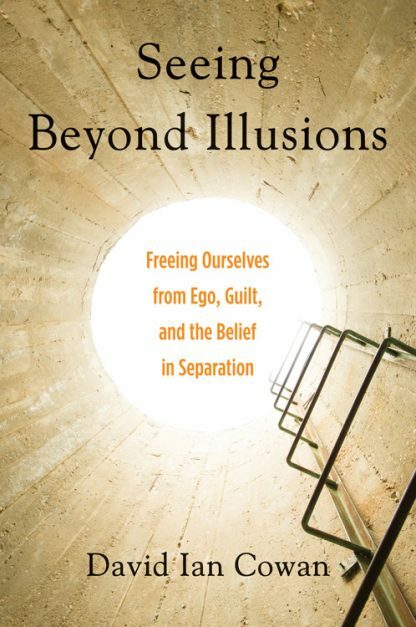 Using the fundamentals of A Course in Miracles, Seeing Beyond Illusions walks us through a gentle dismantling of the dualistic lie of separation, freeing us from our unconscious guilt at having forsaken Source by learning to trust our divine connection to all that is. At its core, this book is about letting go of our need and urge to control, freeing ourselves to embrace forgiveness, and experience the reality of our profound connection with others. The easiest of easygoing spiritual coaches, David Cowan has a gift for synthesizing wisdom as old as Jesus and as cutting-edge as neuroscience, his writing is infused with an all-encompassing relevance that heals. David Ian Cowan is a biofeedback trainer and teacher in spiritual communication and the art of dowsing. He is a counselor, alternative health practitioner and trainer living in Boulder, Colorado. He is also the author of Navigating the Collapse of Time (Weiser Books, 2011) and co-author with Erina Cowan of Dowsing Beyond Duality (Weiser Books, 2013). Click here for an interview with David.